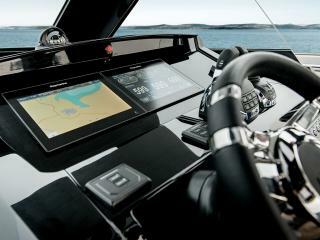 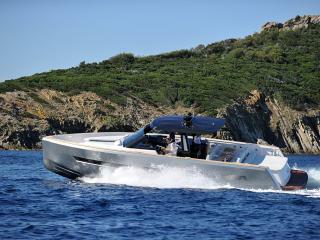 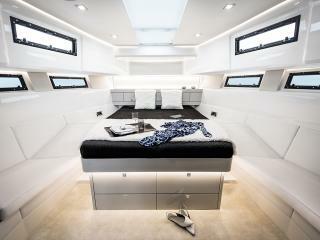 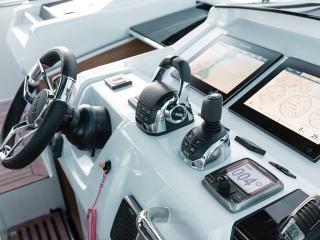 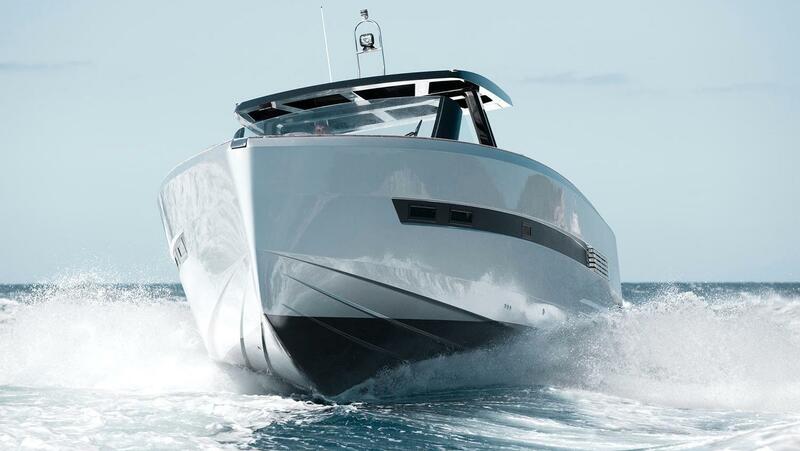 The Fjord 48 Open is the ultimate of modern times, and will startle you with its daring vision of the future. 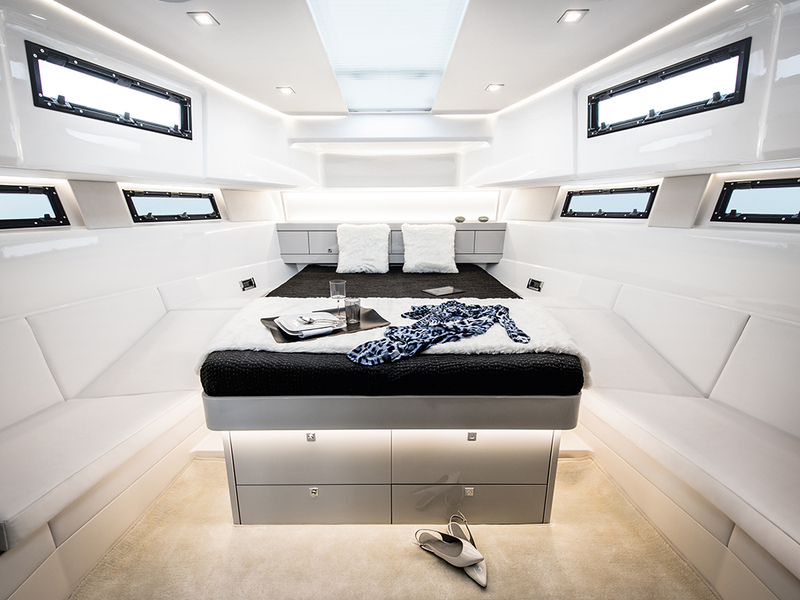 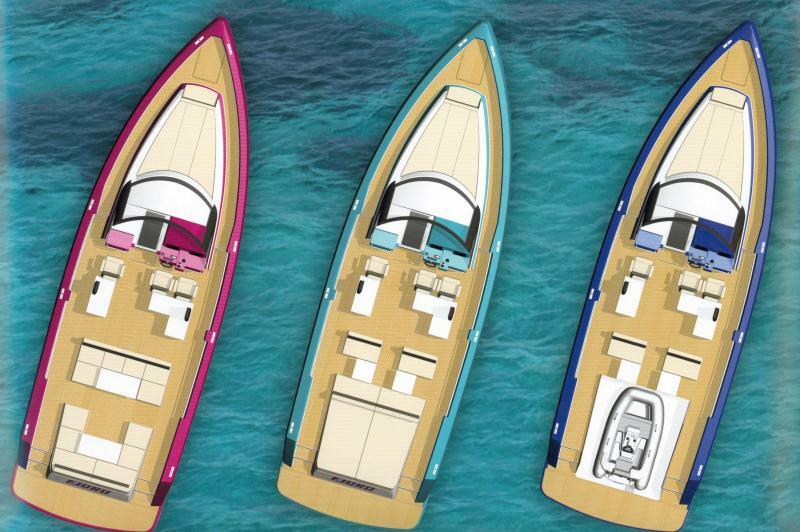 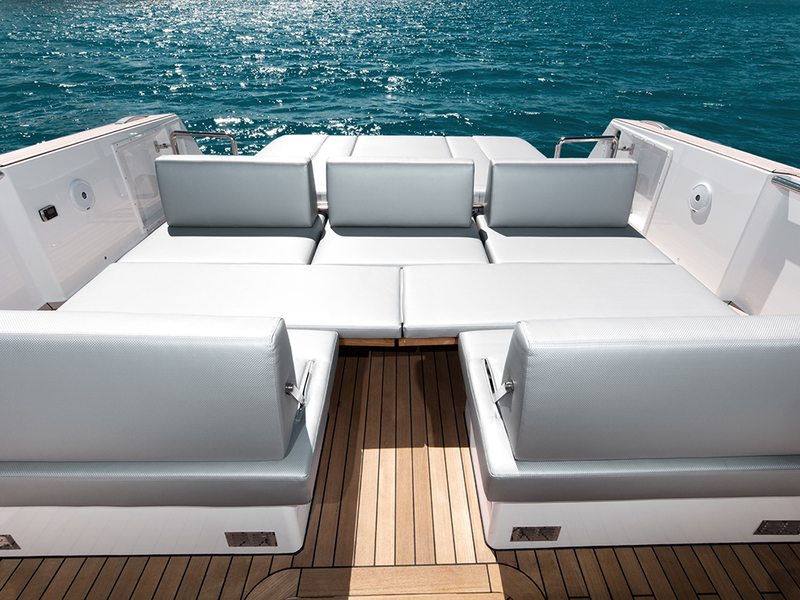 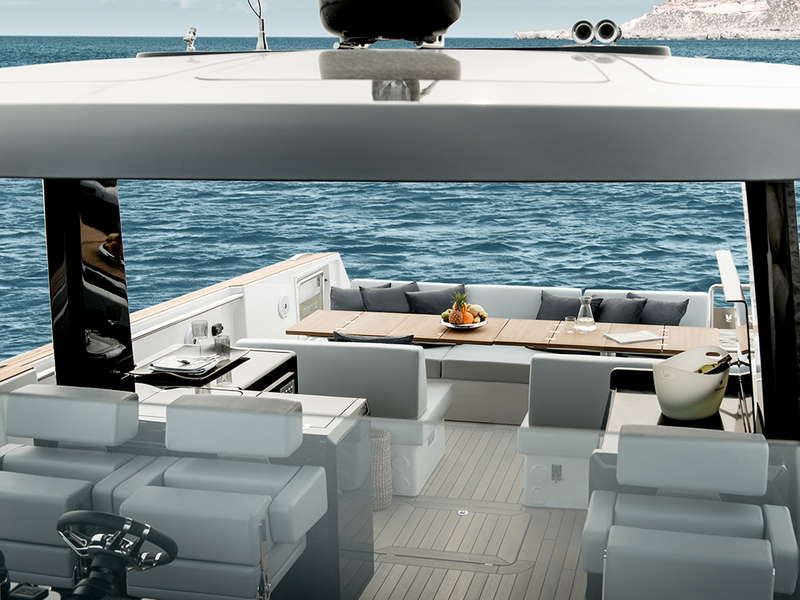 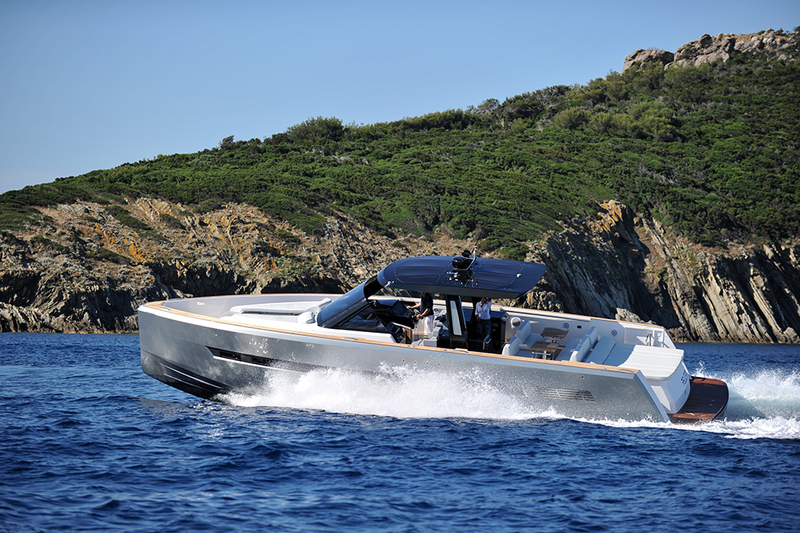 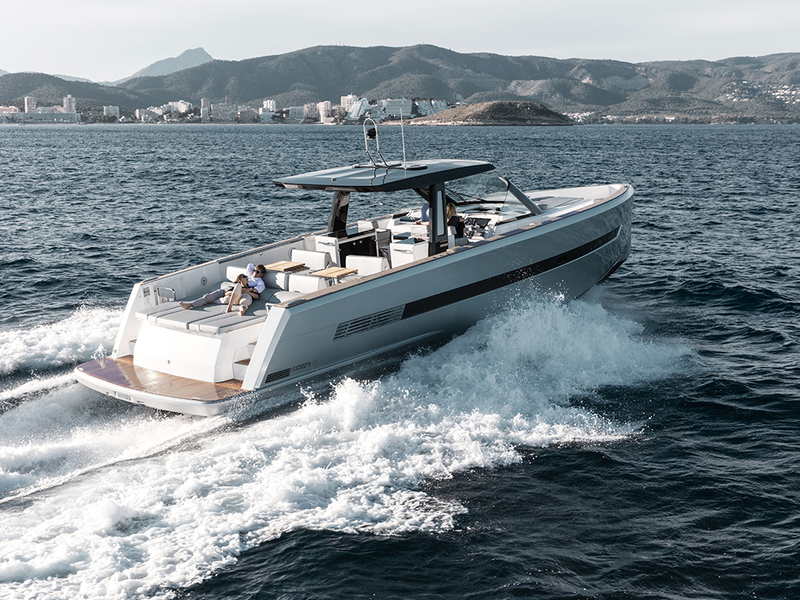 In the stern area, future owners can choose between double cockpit tables (dining area), which can be transformed into a large extended sunbathing, or a dinghy garage, perfect for a William Jet Tender. 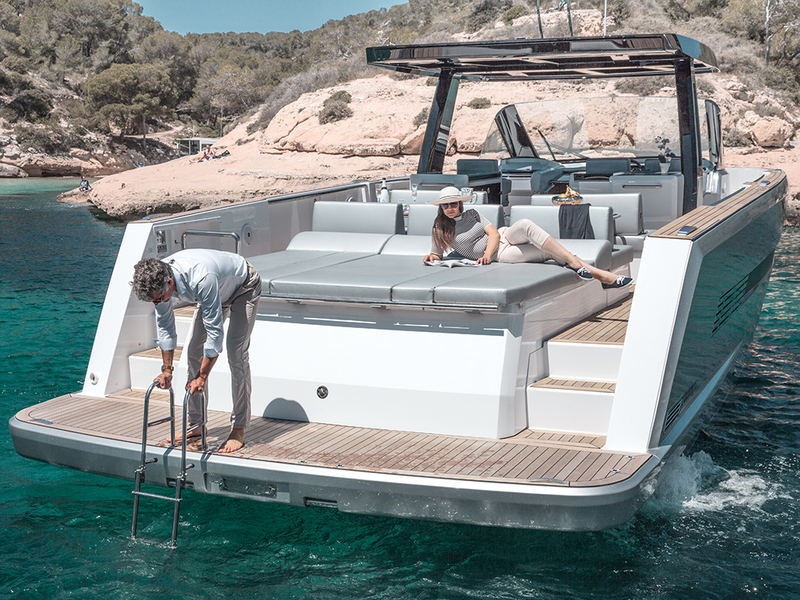 Indeed, the Fjord 48 is the only Open which can offer a dinghy garage (option) with an hydraulic platform (standard). 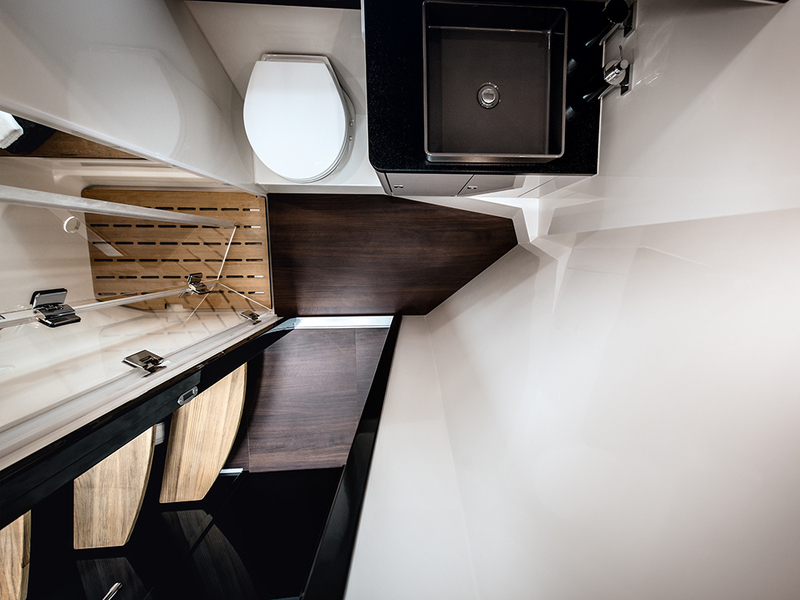 The interior design of the Fjord 48 Open offers space for relaxing trips with two generous cabins, each with their own bathroom, a living area for the interior cabin. 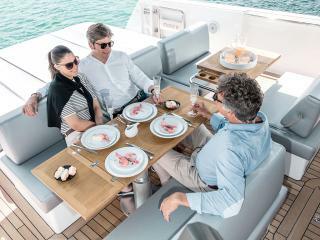 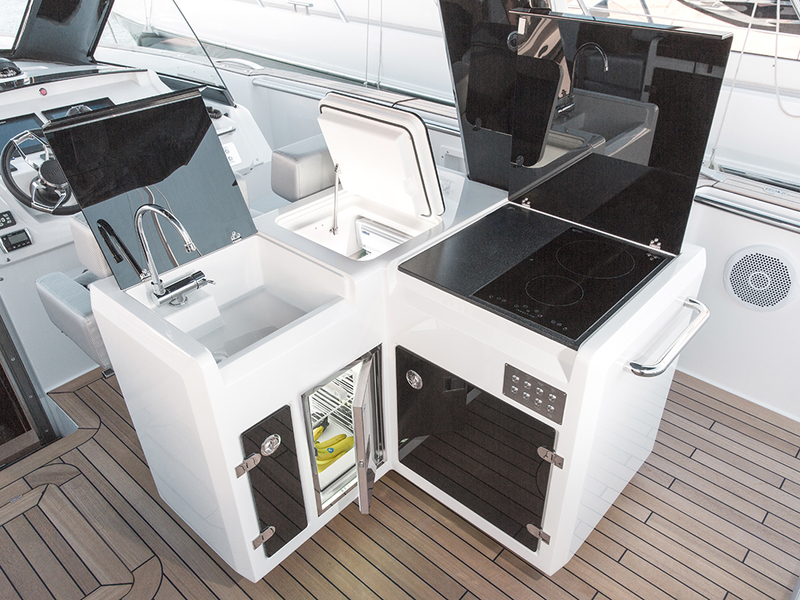 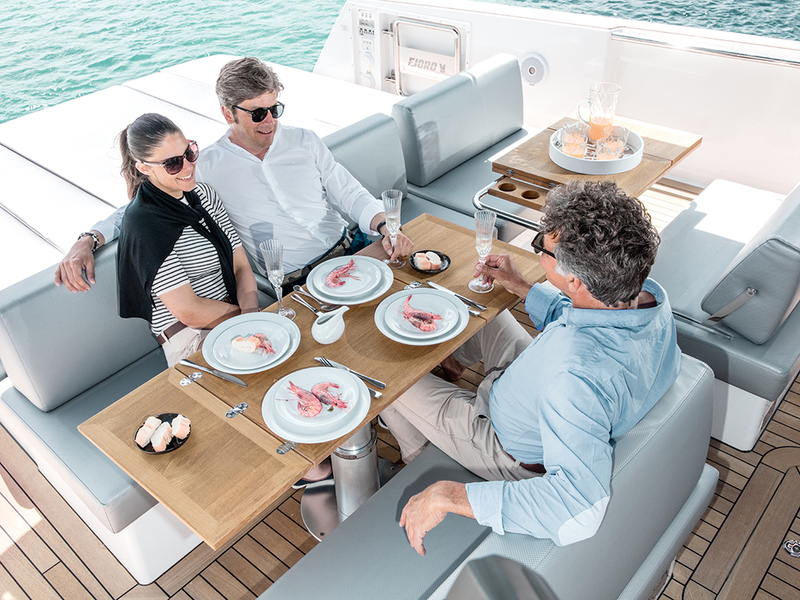 Moreover, the huge deck plan hosts a stern sundeck, an exterior dining area (kitchen, bar with refrigerator, helm station all on one level), and an outdoor galley : all these modifications allow to have a unique quality of life on board. Furthermore, to make the stay on board more safe for family and friends, huge bulwarks are present.